The flavours in this recipe are inspired by one of my favourite Greek dishes, Melitzanosalata. It’s more of a reconstructed nod to it rather than a recreation and it’s become a favourite with my family. 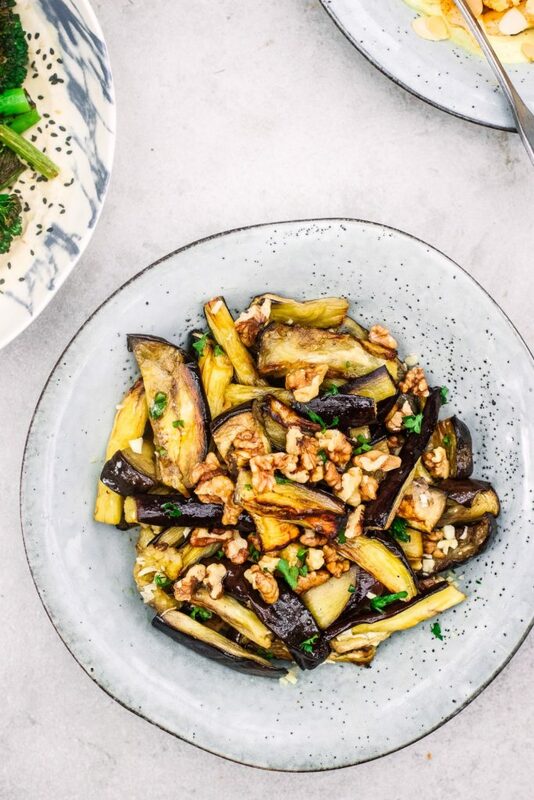 Slice the aubergines into rectangular wedges and lay them out on a large roasting tray. Drizzle on 2 tablespoons of olive oil and sprinkle generously with sea salt. Toss well and roast for about 35-40 minutes until tender and soft. Toss them once in the middle. Whisk together the remaining olive oil, apple cider vinegar and honey. Mince the garlic and add it to a medium serving bowl with the vinegar mixture. Roast the walnuts in the oven for about 5 minutes until golden. Then roughly chop them. 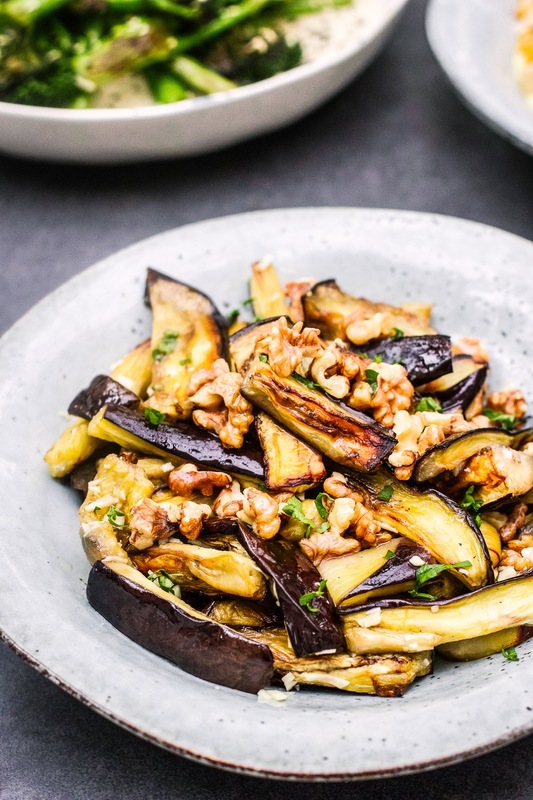 Add the warm walnuts and aubergines to the bowl and toss them well in the dressing. Serve warm or cold.